Are you planning your big day? 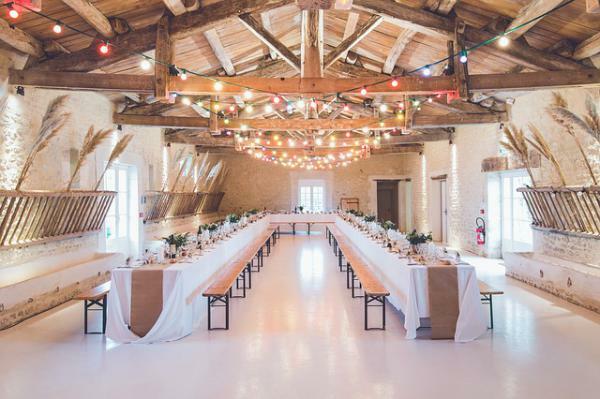 Finding the perfect wedding venue for your celebration is one of the top items to knock off your wedding to-do list early. From there, your other puzzle pieces can fall into place, such as local catering options and premier Denver luxury transportation. It helps to get the big items out of the way, allowing you to spend quality time planning the fun things! As you explore venues, here are some of the top options you can check out! Just 30 miles west of Denver is the Evergreen Red Barn, and it’s perfect for the couple looking for rustic charm. It is a large and diverse space, allowing you to host rehearsal or welcome dinners, wedding ceremonies, cocktail hours, and receptions for up to 125 people. It also houses lodging for family and guests that need space to prep for the wedding. No matter if your wedding is during warm or cold months, it makes the perfect setting for a wedding tucked away in the mountains. Skylight in Denver is a blank slate, allowing you to create the perfect wedding from your own personalized palette. The venue has white brick walls and clean concrete floors, along with wood ceilings and beautiful skylights that allows you to truly make the space your own. Skylight offers you the freedom and flexibility to design your wedding, accommodating up to 200 guests. Plus, they rent out the space to you for 24 hours, so you won’t have to worry about rushing out as you dance the night away under the stars. The Pinery at the Hill is an award-winning wedding venue, with some of the best views Colorado can provide. You and your guests will be blown away by its panoramic views and Tuscan-style architecture. To make the planning process easier, they have a variety of all-inclusive packages with everything you need for your wedding. Depending on the space you choose within this venue, you can accommodate up to 225 guests. Smaller, more intimate rooms are also available, too. For many couples, not only do they want to get married in the mountains, but maybe even on a mountain! One of the most beautiful and breathtaking places to share your special day with friends and family is at Vail Mountain. Ceremonies can be held on The Wedding Deck that overlooks the Rocky Mountains. It has such a picturesque backdrop that will be so memorable for up to 180 seated guests. Following the ceremony, dance the night away under the stars at Arrabelle at Vail Square. The space is enclosed with a clear top, so even if there is rain, it will not interfere with your reception. No matter where you decide to have your wedding ceremony, use Denver Premier Limousine Services for all of your transportation needs. Learn more about our go-to wedding party transportation trips from your limo service in Denver and see how we can accommodate you! We will do all of the heavy lifting (…or driving) so you can focus on enjoying your special day. Call us at 303-332-4588 to get started. best ways to make sure your plans go off without a hitch is to use premier limos in Denver. limo as you make your plans this year. prom, so taking out the possibility of an accident due to distractions is key. just to help a group get from place to place. In a limo, you will create a party atmosphere. work—so you can enjoy your time with the people you care about. are not used to driving in your area. available and schedule yours today by calling 303-332- 4588. If you have to travel frequently for your job, it is best to know the different methods to making your trip run smoothly and seamlessly. With all of the opportunities that will make your travels easier, which can help you save on your own personal trips down the road, learn how to take advantage of corporate travel perks. To help you, we’ve compiled a few top travel tips. From perks and bonuses, to exploring new areas with free time, to premier, local Denver airport transportation, make sure you are getting the most of your travels. One of the key aspects of corporate travel to take advantage of are your frequent flyer miles. Several airlines offer programs those who fly often. Alaska, Delta, JetBlue, Southwest and United are some of the leaders on the list of the best airlines rewards programs for 2017 through 2018. Prior to joining a frequent flyer program, do your homework first. Look for corporate benefits that will help to make your travels easier, such as more opportunities for upgrades, priority check-in and boarding, reduced or eliminated baggage fees, flight seating options, exclusive traveler lounges, opportunity to change flight information in the same day, and more. In addition, make sure you are taking advantage of points you may earn on your credit card. Look to see what perks you have and how you can take advantage of them because of your corporate travel. Even though you may travel for work often, it is still a neat opportunity to explore cities that you have never been to before. While your time might be limited, allow yourself some time during your corporate trips to check out the area. It could be allowing yourself a 30-minute walk around the area, visiting a different restaurant that is not available where you live, or maximizing your workout time by running or jogging outside. Given that you will be in a different area than normal, make sure you research where you are traveling ahead of time. Learn about the area, crime rates, and anything else you may need to know prior to checking in your hotel room. If you’d like to visit fun areas in a new city, Atlas Obscura is a great resource for those looking for something interesting to explore. To ease your corporate travels, make sure you take advantage of quality airport transportation. Traveling to a new area can take up time to determine where you need to drive, and then any quirks of the area that your map may not share with you. By using a go-to car service, you can take some time to relax before heading into a meeting or checking into your hotel. It’s a great time to review emails, get work done, or just relax before a busy trip. To assist you with all of your airport transportation needs during your corporate travels, Denver Premier Limousine has you covered. We have several options to accommodate you or your employees to maximize your dollars during your travels. Learn more about our Denver Premier Limousine services to find out how we can make your corporate travels easier. Traveling can be hectic. From the packing to getting from place to place and ensuring you have your proper documentation and tickets, there is much to do. Add in cold temperatures, snow, or ice, and you have a potential stressful situation. To make it easier, there are many top winter traveling tips to make journeys easier. From go-to flight tips and being on the road, to using premier Denver airport transportation, use these travel tips to make it through your winter travels. When flying during the winter, it is important to have essentials in your carry-on in the event you and your luggage become separated. If possible when booking flights, aim for nonstop flights if possible to reduce this risk. If you do not have a choice, make sure you are prepared. To help you save space in your carry-on, roll your clothes instead of folding them. Next, watch the weather where you will be traveling to. If there will be inclement weather, consider a different time that helps you beat the weather, or takes place once a storm is over. Regardless, weather from across the country could impact your flight. Make sure you do not book flights on a tight schedule as delays and cancellations may happen. If you have a specific time to travel, plan for an earlier flight to be safe. If you will be driving to a destination this winter, it is best to prepare for being stranded. Even if you have a newer vehicle or pristine driving record, you never know what can happen. First, make sure your fluids are filled and car is in great shape with these six car checks before a holiday road trip. Next, make sure you have a kit prepared in your trunk. A few essentials to keep include jumper cables, antifreeze, tire pressure gauge, flashlight, spare tire and replacement items, road flares and windshield wiper fluid. Also, be sure to include blankets, hand warmers, water, cell phone charger, snacks, a first aid kit, and cat litter. Why cat litter? If you get stuck in the snow you can lay some down to help you gain traction. If you are flying in to Denver, or will have friends or family joining you, take away the hassle of winter travels with a local, quality transportation service. When snow is on the ground and traffic is building, it can be chaotic to finish a flight then find where to go. By utilizing the service of a driver, they will help you load their bags and quickly make it to their destination. It is a great service to take advantage of especially if you have tight timelines for where to be. As you plan your winter travels, be sure to use Denver Premier Limousine services. Our team will help you with all of your winter driving needs, from airport travel and special events, to spending a night on the town. We will make sure the work is done so you or your guests can relax. Schedule your service today by calling 303-332-4588. Are you looking for new ways to impress your guests this holiday season? Whether you are looking to top your plans from last year, or will be hosting a party for the first time, there is much you can do. From food and drink ideas, to nailing your decor and atmosphere, try one of these suggestions to make your holiday get-together a hit! It is also important to encourage your guests to use Denver luxury transportation, so they can enjoy the evening, worry-free. Your holiday menu choices will depend on the type of event you are having. Some hosts prefer to have a sit down meal, while others will set out appetizers and other finger foods guests can get as they mingle. If planning a sit down meal, where guests are anticipating to have dinner, reach out to them in advance for food preferences. This will help you know how many vegetarian options to have, and if there are any allergies to be wary of. For appetizers, find dishes that have holiday shapes to help with the overall mood of the event. Try one of these 21 appetizer recipes for your holiday party. For beverages, diet and regular soda, as well as lemonade, tea, and coffee are ideal non-alcoholic beverages. If alcohol will be provided, opt for a white and red wine, as well as a beer option. You can also consider creating a signature cocktail around the theme of the party too. Having the right decor is one of the best ways to kick off your party. Choose a color palette for the event and stick with it. You can opt for traditional colors, such as red and green, or mix it up with blues and silvers. On tables, make quality centerpieces that consist of containers with ornaments in them, or a wreath with a candle in the middle to serve as a statement piece. You can hang garland on mantels and other surfaces for an additional touch. For your atmosphere, have holiday music playing that fits the overall theme of the party. You can find playlists on Spotify or other music streaming apps. As the night goes on, make sure that food is replenished and there are plenty of options for guests to sit or stand. As you prepare for your holiday party, be sure to encourage your guests to take advantage of a local car or limousine service. This will help them arrive on-time and stress-free. Then during the event, they can enjoy the party responsibly as they have an option to get them back home safely. When sending out your invitations, be sure to tell your guests to use Denver Premier Limousine services for all of their transportation needs. As the city’s premier go-to transportation service, you can count on us to ensure your guests make it to and from your event. We can be reached at 303-332-4588, and hope to hear from you and your guests soon!